Today I just wanted to share with you one of my favorite sources for hardware. I find that they have very good prices and great customer service. the girls bathroom vanity redo I used these Brushed Brass Whistle knobs. They are on sale right now for $1!! $1 never looked so good! 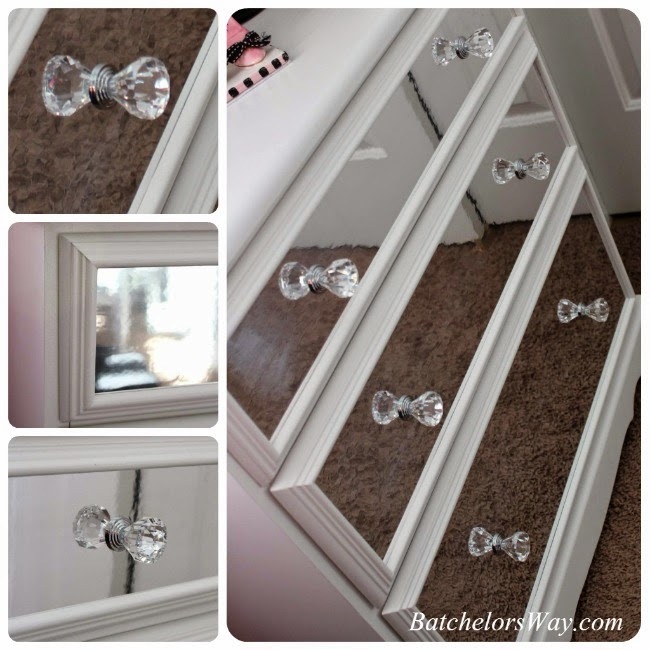 I used Acrylic Diamond Cut knobs on Em's mirror dresser. They look so elegant and glamorous. These are on sale for only $2.68! 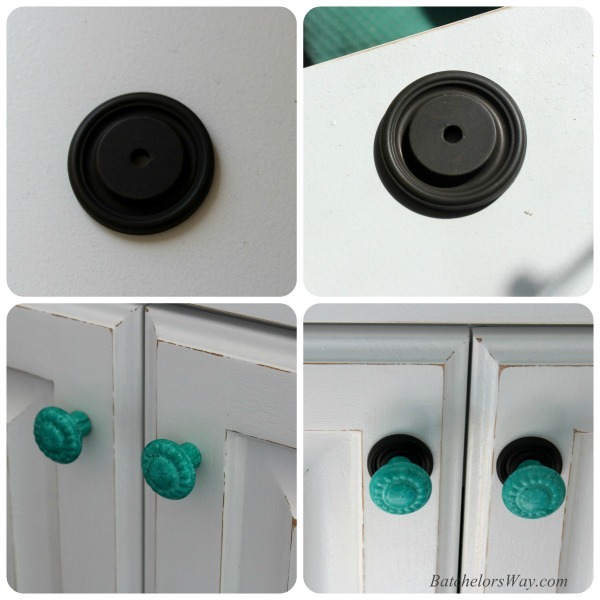 One of my favorites are the knobs in the laundry room. These are actual glass cut knobs and I love how the light cuts through them casting lovely patterns on the cupboard door. These are a little more expensive $4.65 each, but hey are glass so it is to be expected. That being said it is a very competitive price. And I couldn't be happier with the look and feel of them, they are very solid. Another thing I like about D.Lawless is they have a selection of Non Standard handles. When redoing lots of old pieces, you find lots of them to have odd handle widths. That was the case with Ashlee's nightstand remake. It had holes but no longer had a handle. I found this Bail Pull with Ceramic Back Plates in D. Lawless's non standard section. 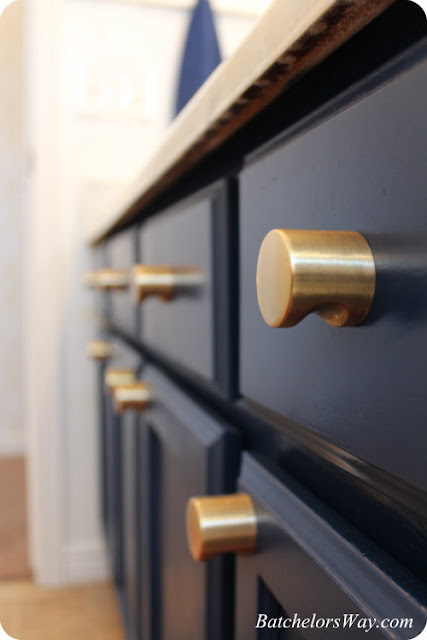 They offer lots more than knobs and handles. They also offer hinges, hooks, wood appliques and more. I used drawer slides from D. Lawless for the clean clothes tower in the laundry room. I found these great back plates that I put behind my sharpie knobs. They really made the knobs pop and look better. 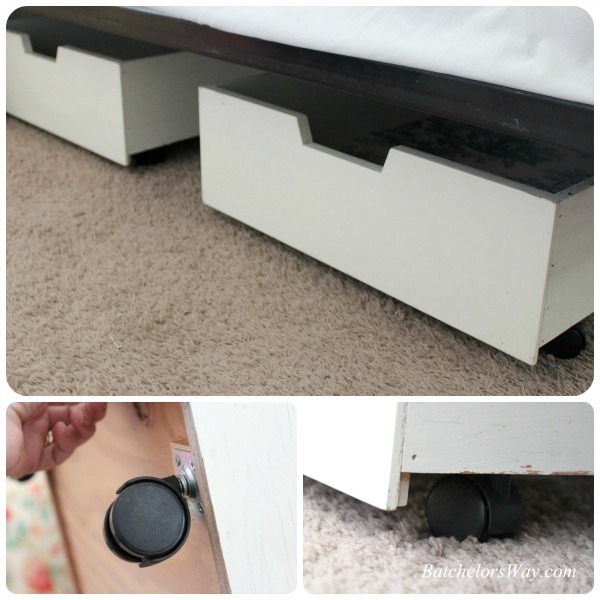 They also have a selection of casters, of which I used on Ashlee's under bed storage boxes. 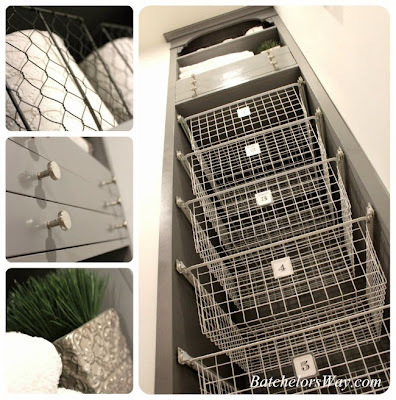 Which by the way these are an amazing way to help keep your kids rooms clean. My latest project involving D. Lawless Hardware was in my master bathroom. 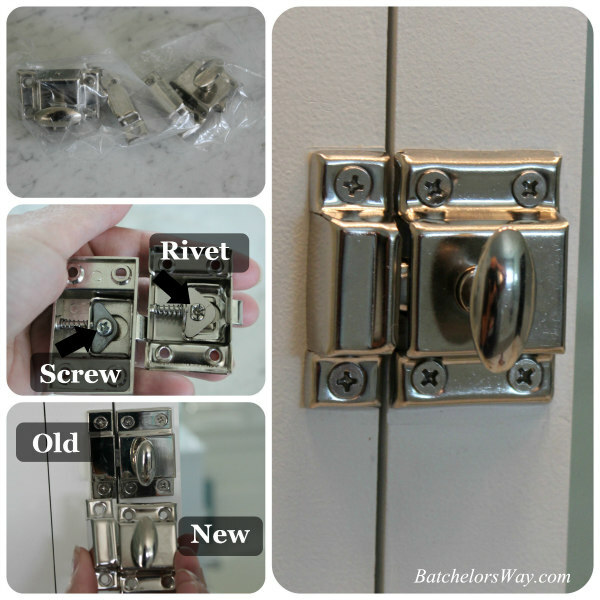 If you remember I was super excited about these latches I ordered from The Home Depot. I loved the look of them, but right off the bat a couple of them started to falter. They would turn around but not open. We had to take them apart to tighten a screw inside. We have had this problem ever since. If you turn them the same way each time carefully they would work OK. I finally couldn't fix one of them and decided enough was enough. I found a door catch at D. Lawless and decided to give it a try. They were half the price of the original catches. When they arrived I noticed one major difference. Instead of a screw they had a rivet. Thus the rivet doesn't loosen. I have had them for about two months and haven't had a problem yet. They were almost the exact same size. But the screw holes were just slightly off. No problem. I just stuck toothpicks in the holes. Then I broke the toothpicks off by bending them down. Then just install the screws! Works perfect every time. So what is your next project? I know you are going to need some hardware, right? I encourage you to go on over to D. Lawless Hardware's page and explore. Check out all they have to offer! I know you are going to find items you need or just want!! 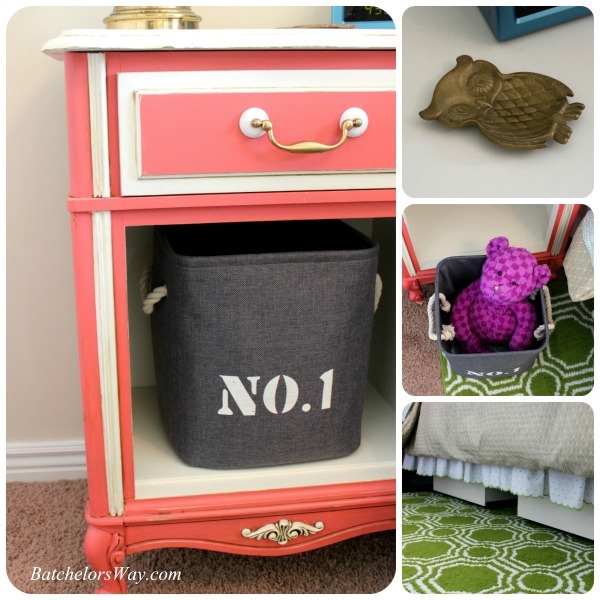 you will definitely want to enter this give away! D. Lawless is giving away TWO $50 gift cards to my lucky readers! I hope you are one of the two! I have received some product, but all opinions are my own. The latches are so pretty. Glad the new ones are working properly. All of the knobs you have picked out are so pretty and fun. I think I would be boring and just buy the same ones over and over again. Lol I would love to win the giveaway. I need glass knobs for a few projects. My poor media cabinet has been handle less for a year now.